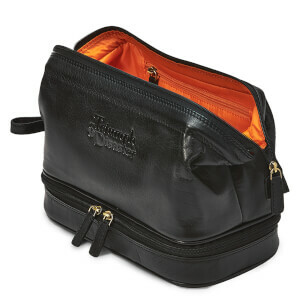 Durable black leather 'Frank the Dopp' toiletry bag from Triumph & Disaster. 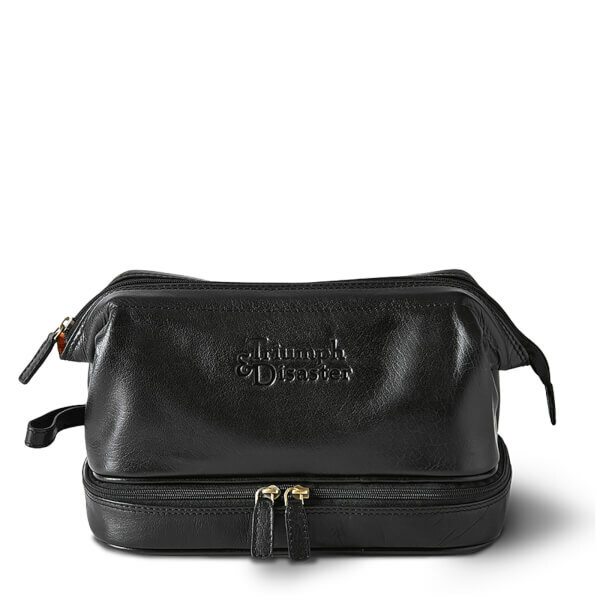 Ideal for carrying grooming essentials, the genuine leather wash bag features a zip fastening that opens to reveal a synthetic water-resistant lining in contrasting colour. An internal zip pocket and a separate base compartment provide storage for wet items. Complete with a hanging loop, gold-toned hardware and embossed logo branding.